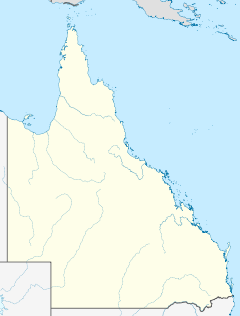 Cathair i Queensland is ea Hervey Bay (fuaimniú: /ˈhɑrvi ˈbeɪ/). Bhí 41,225 daoine ina gcónaí ann sa bhliain 2006. ↑ (Béarla) "Daonáireamh 2006 'QuickStats' – Hervey Bay (Urban Centre/Locality)", Australian Bureau of Statistics (25 Deireadh Fómhair, 2007). ↑ (Béarla) "Climate statistics for Australian locations – Hervey Bay Airport", Bureau of Meteorology (16 Meitheamh, 2011). Tugadh an leathanach seo cothrom le dáta an 11 Márta 2013 ag 12:11.